Christmas brings both happiness and sadness in the life of people. Christmas brings both happiness and sadness in the life of people. Christmas is a good time for the people who remember important financial lessons learned from the holiday celebrities. However, it is a bad time for the people who forget those lessons and meet financial disasters. If you really want to welcome Santa Claus happily, then do check out and follow the financial tips given by the Christmas celebrities. 1. 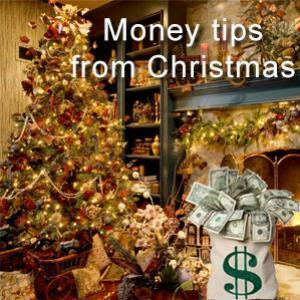 Donate money to charitable organizations: This financial tip has come from Elbert Scrooge. You can celebrate Christmas throughout the year. You can donate money to charitable organizations and enjoy tax benefits. You've various expenses during Christmas. You need to purchase so many gifts and other items. So, it will be better if you don't donate money during the festive season. You can easily donate to your favorite charitable organization in May when there is no shortage of funds. The charitable organization will gladly accept your money then also. 2. Save energy and money: Composer Irving Berlin gave this financial tip in his melodious composition "White Christmas". Whenever you think about Christmas, the snow clad house and meadow captures your vision. What you don't visualize is that you increase your electricity bill just to keep your house warm. In fact, heating contributes to nearly56 percent of your electricity bill during the holiday season. Use insulation carefully to save on your electricity bill. 3. Make your Christmas shopping list: Santa Claus brings a bag full of exciting goodies. Santa Claus makes a list of the things that people want. He brings the gifts accordingly. If you don't make a list of things that you need to buy in Christmas, then you're likely to make several trips to the store. You're likely to spend more than your budget. Moreover, frequent trips will increase your travel expenses as well. 4. Opt for economical tours: Elvis Presley was fully aware how a Blue Christmas would be without any near and dear ones. If you're alone in this Christmas, then there is no need to be sad and dejected. You can go for economical holiday tours. You can get some seats at reasonably good rates. You can even save some dollars by taking a flight to a place that is slightly far from your destination. 5. Undertake security measures: You must have watched how Kevin Mcllister thwarted burglars in the movie "Home Alone". The burglars tried to break into the house during the holidays. You might not have someone to look after your house during the holidays. You don't have to keep a security guard when you're in a vacation during the holidays. All you can do is keep shrubs below the windows. You can install security alarms in your house too. This will help you keep your house safe. Bob Cratchit agreed to work under terrible conditions before his employer changed for the better. In real life, most people are not like Bob Cratchit. If you're not satisfied with your job, then start looking for a better option in the months of January and February.